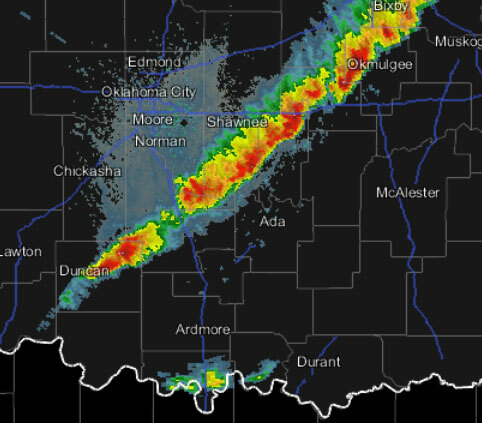 This Mesonet radar image was made at 6:00 pm. The last tornado warning we issued was at 8:10pm on Friday, May 31, 2013. It expired at 9:00pm. As of April 8th, this will be day 312 without a tornado warning. The previous longest streak was 293 days: June 1, 1990 to March 20, 1991. The weather outside is beginning to look threatening, and I have a sense we will be issued something this evening or tonight. As I write this, I hear thunder. 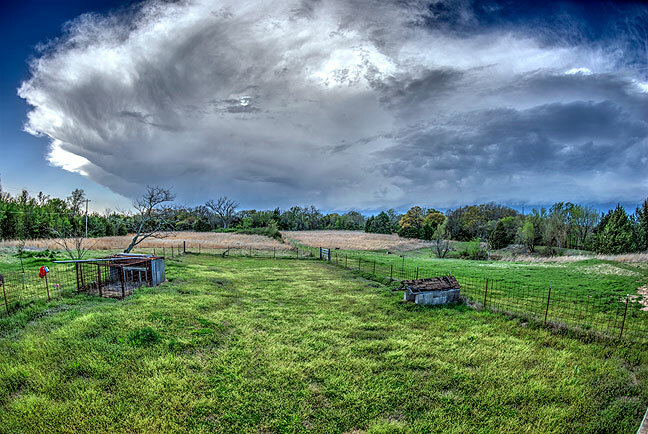 This image was made from our back porch at about the same time as the radar sweep was made in the first image. My God, that is an awesome photo.